Chic Waterfront Condo featuring 1 Bedroom +Den at Branthaven's Lake House! Wake up to the Shores of Lake Ontario! This Fabulous unit is filled with an Abundance of Natural Light coming in from Floor to Ceiling Windows and Oversized Sliding door leading to the 65 sq ft Balcony. Your Executive Suite Offers 10 Ft Ceiling, 4 Piece Bath, Spacious Den, In-suite Laundry & Laminate Hardwoods throughout! Upgraded Kitchen w/Subway Tile Backsplash, Stainless Steel Appliances & Quartz Countertops. Building Amenities include Outdoor Pool with BBQ Area, Large Party/Games Room, 1 Underground Parking Spot, Exclusive Locker & Full Gym! Minutes to highway, shopping & proposed Go Train. Available Immediately! Tenant to pay hydro. 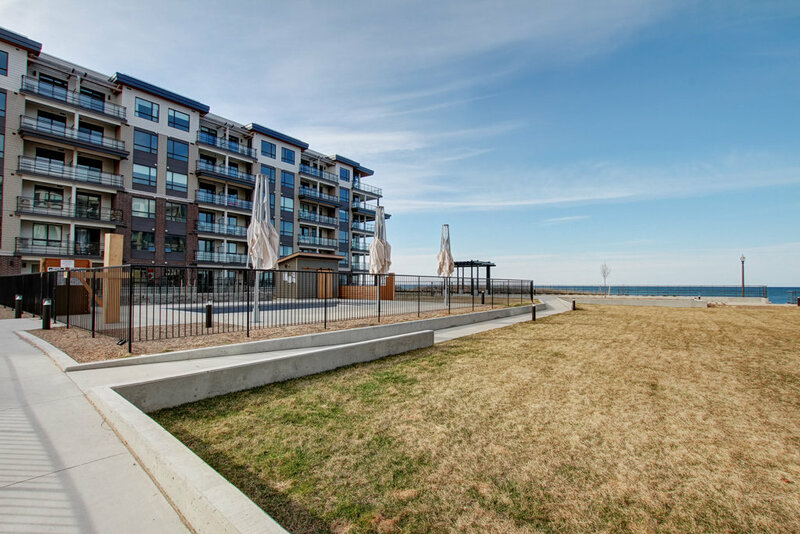 Want to learn more about 411-40 Esplanade Lane (	PLACE POLONAISE)? I would like to learn more about 411-40 Esplanade Lane (	PLACE POLONAISE).